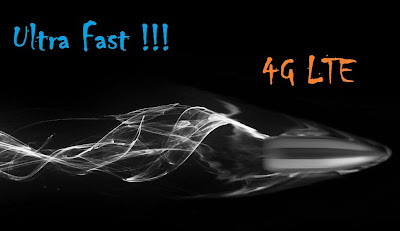 DOT's new guidelines for 4G (LTE) :Reliance's Jio, Tikona, Augere to offer mobile telephony in additions to 4G (LTE) services? In a very good and competitive move, the Department of Telecommunication (DOT) has introduced a list of new guidelines for 4G. The new guidelines will allow the service providers who have already purchased 4G licenses from the Government to offer mobile telephony (voice) by paying a additional amount of Rs.1658.57 crores. This will not only benefit the incumbent players like Reliance Industries Ltd's Jio Infocomm, Augere and Tikona but it will also increase the competition among the voice players in 2G as well as 3G space. Which means the 1p/sec call regime will stay put for a long long time or may even decrease, knowing Mukesh Ambani's penchant for pulling customers. Remember back in 2012 Reliance Jio Infocomm, Augere and Tikona, won BWA spectrum during the auctions conducted by DOT and are in the process of offering 4G (LTE) services in India. Jio Infocomm should start 4G (LTE) services by December, 2013 while others are in the process of laying the necessary infrastructure for the same. What this essentially means that those who won the hard fought licenses for 4G wireless broadband spectrum and an ISP can pay the additional amount of Rs 1,658.57 crore, excluding fees payable for unified licences for pan India. Remember Airtel and Aircel are already offering the 4G services in limited areas like Pune, Bangalore etc. as of now. A piece of advise for the punters, buy Reliance stock tomorrow as it should show a fair bit of rise because of this news in the very very bearish markets.